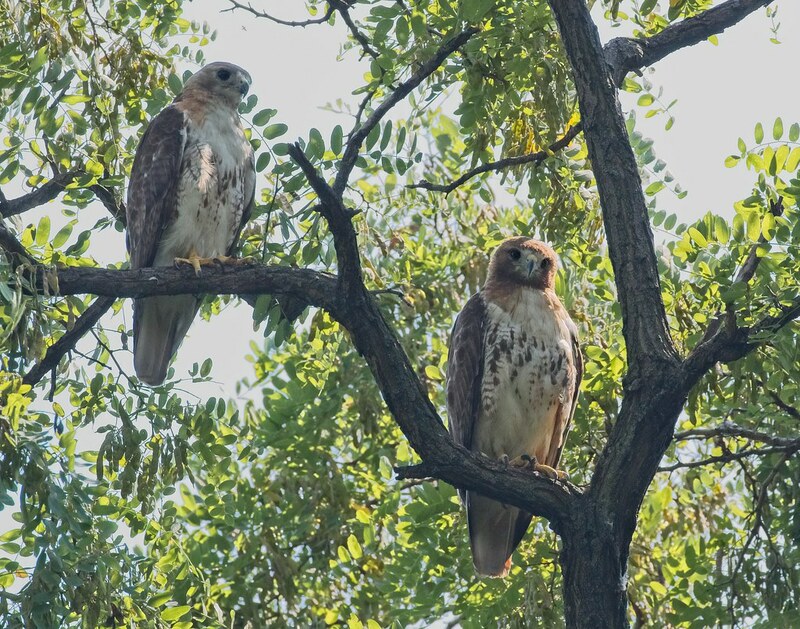 The older Tompkins Square Park red-tailed hawk chick fledged the nest early in the morning on Tuesday, July 17. It follows its younger sibling who fledged on Friday, July 13. This time, however, there hasn't been much to see as the birds have mostly remained hidden high in the trees on the east side of the park. I caught glimpses of both fledglings today, but have yet to get a good, clear photo of either of them out and about in the park. Parents, Christo and Amelia, have been keeping a close eye on the kids and have been fairly easy to spot. I'm hoping to get some shots of the whole family in the upcoming days.